Separate the squid heads from its tubes. 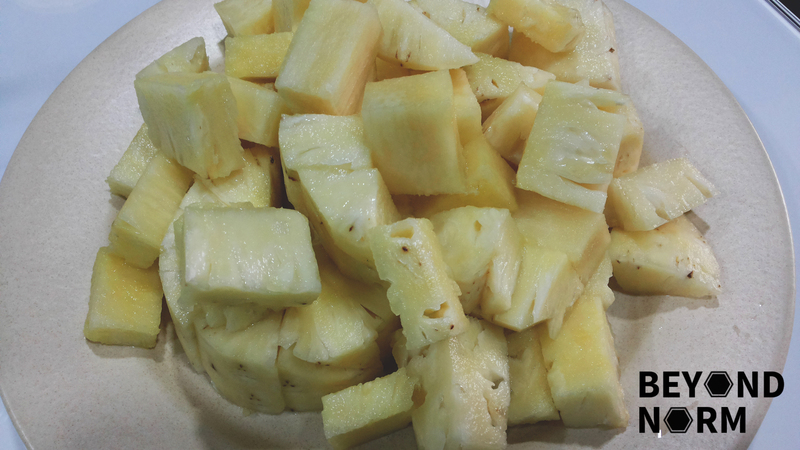 Remove innards and ink sac, then peel away as much skin as possible. Rinse and drain well. Insert a knife into the pocket and make a long slit, from the inside, from its opening down to the pointy bottom. Then open it up like a book. Squid always curls from front to back and inside out, so if you’re scoring the flesh for decorative effects, score the inside surface and then cut into 1 ½ inch piece. 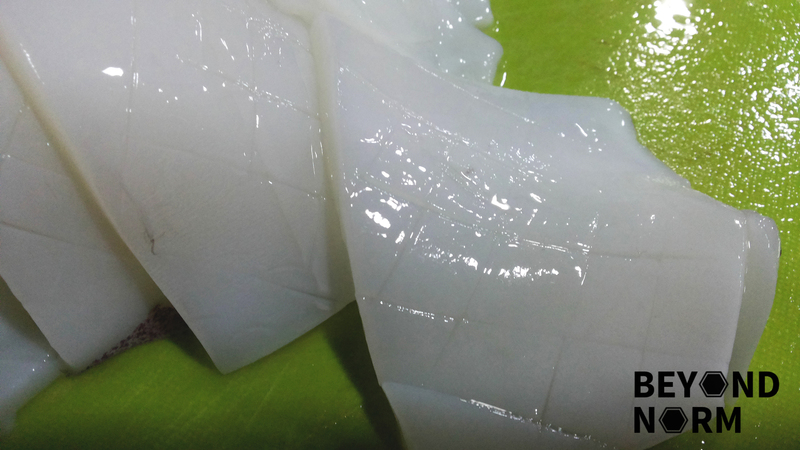 Alternatively, you can cut the squid without scoring into 1 ½ inch piece. Cut tomatoes into wedges, discard the pulp and set aside. 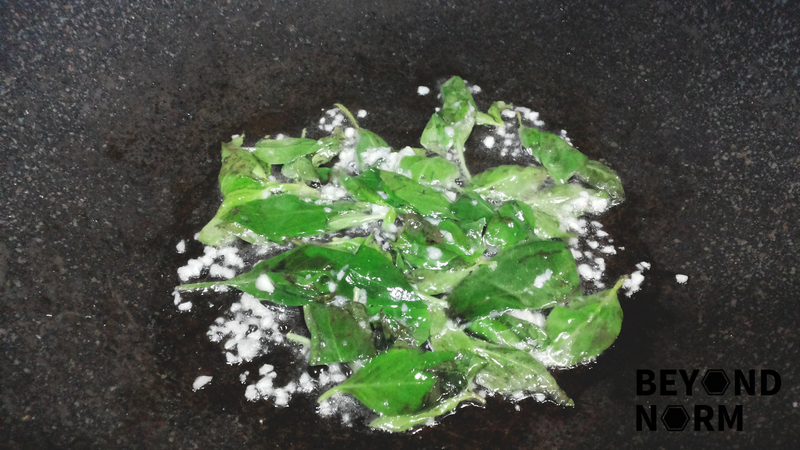 Heat up a little oil in a wok on medium heat and sauté the garlic and basil. Once the aroma is fully developed, dish out and set aside. 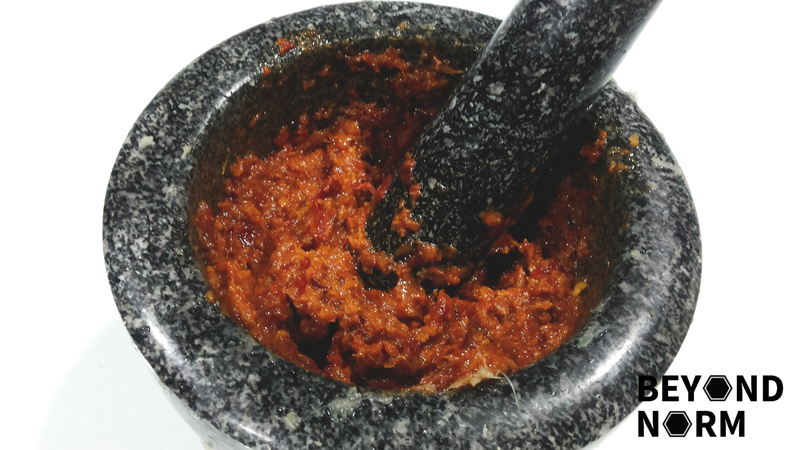 Cook the curry paste till it is aromatic. 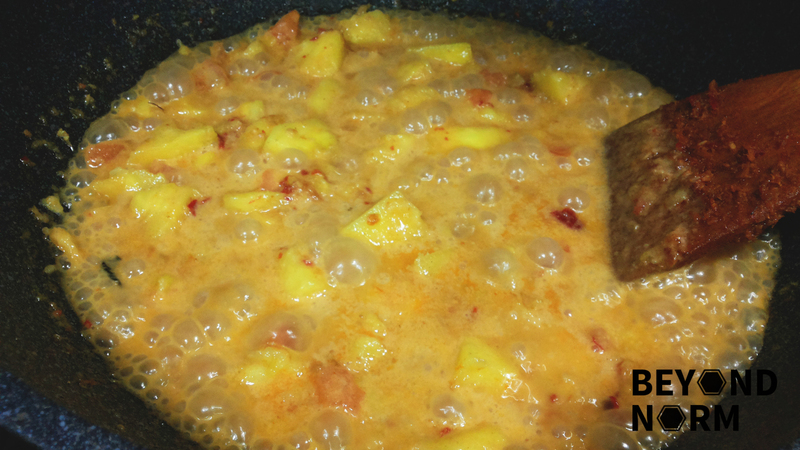 Add half the coconut milk, fish sauce, tomatoes, pineapple, lime juice and sugar. 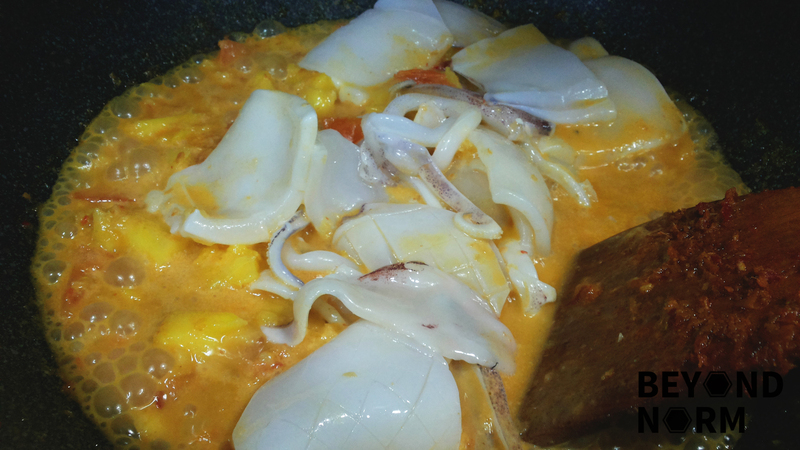 Add the squid, remainder of the coconut milk, the kaffir leaves and chillies. Cook till the squid is done. Turn off the heat and add the sautéed garlic and basil to the curry and mix well. 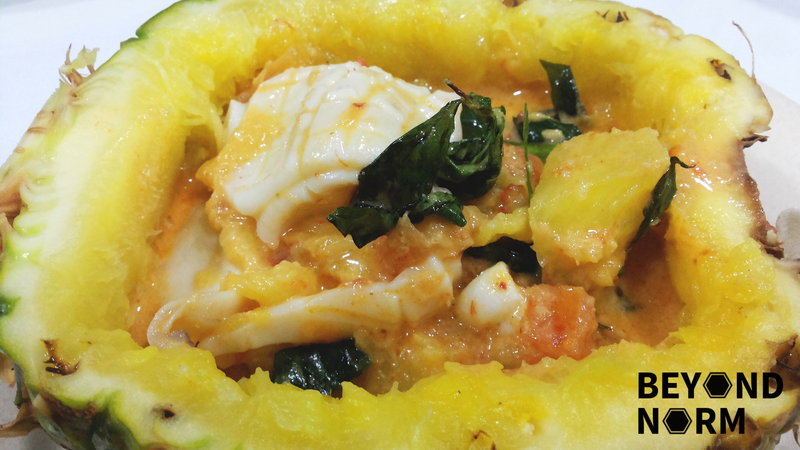 Transfer to serving dish and serve with steamed hot rice.